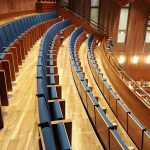 Floor swirl diffuser with rotatable inclined air pattern, for location beneath auditorium or lecture theatre seating. 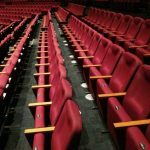 Thermal displacement auditorium airflow, with low level supply from beneath seats into the occupancy microclimate. Heat and contaminants rise to a high layer of stratification by natural convection. Enhanced levels of indoor air quality are attained in the breathing zone. Air supply from beneath auditorium seats. Suitable for VAV applications. 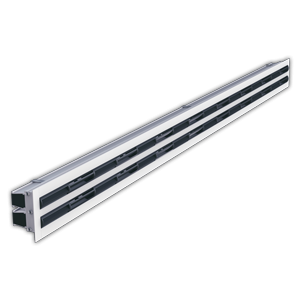 Horizontal coverage dependent upon airflow rate. 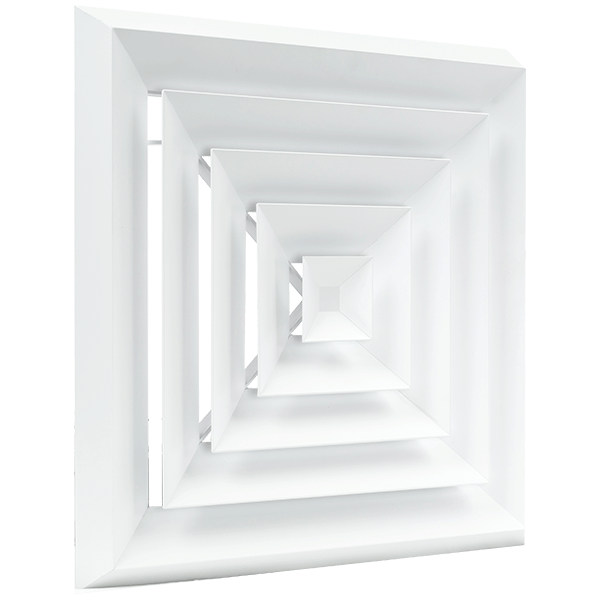 Adjustable direction: Rotatable inclined discharge pattern, to direct airflow away from legs. Rotation of air pattern direction is manual. Substantially radially aligned slots provide high induction swirl discharge. 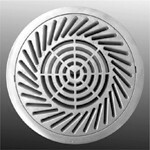 Concentric slots provide diagonal discharge. Polycarbonate, dyed grey or to colour of choice. 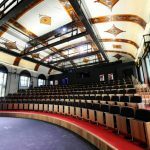 The SMARTEMP Auditorium Floor Swirl Diffuser, type ASF-AD, is a high induction, low air velocity, round floor swirl diffuser for draught-free air supply with rapid air temperature equalisation from beneath auditorium or lecture theatre seating. Occupant thermal comfort and indoor air quality are enhanced by the provision of displacement airflow to the low level occupancy microclimate. Heat and contaminants, which rise from occupants as plumes of natural convection, accumulate in a high level stratified layer where they are removed from the space in concentrated form. Occupants are enveloped in a cocoon of high indoor air quality and enhanced thermal comfort. The inclined air pattern is to be directed towards the rear to counteract the natural tendency for cool ankle-level air to cascade down sloping or tiered applications. 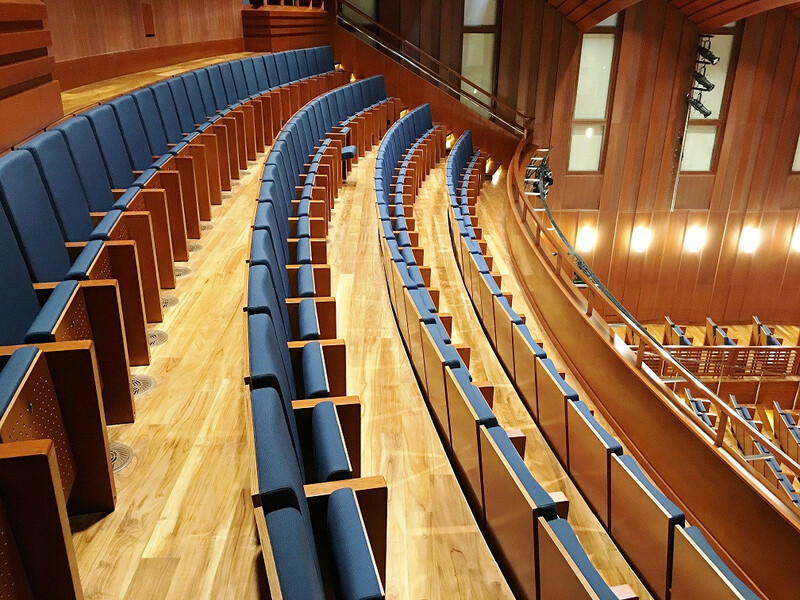 This is especially beneficial in steeply raked auditoria, such as lecture theatres and sports arenas. The rearward incline pattern, futhermore, minimises the draught threat in the sensitive ankle and leg regions of seated occupants. 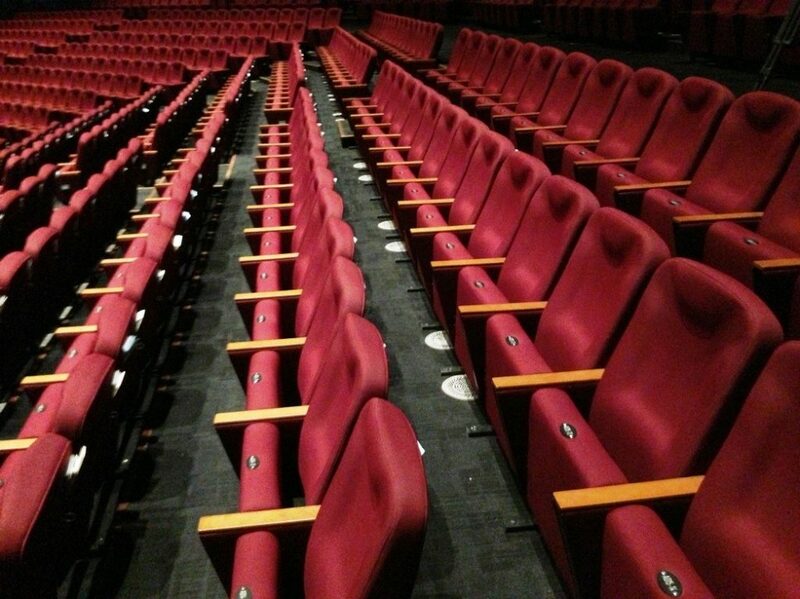 Rotation of the inclined air pattern allows draught-free comfot for seated occupants to be achieved even when the diffuser is somewhat off-set from directly beneath a seat (eg due to structural constraints), as this allows the supply airstream to be directed away from gaps between the seats. Adjustable dampers allow the airflow rate per diffuser to be individually adjusted in steps. 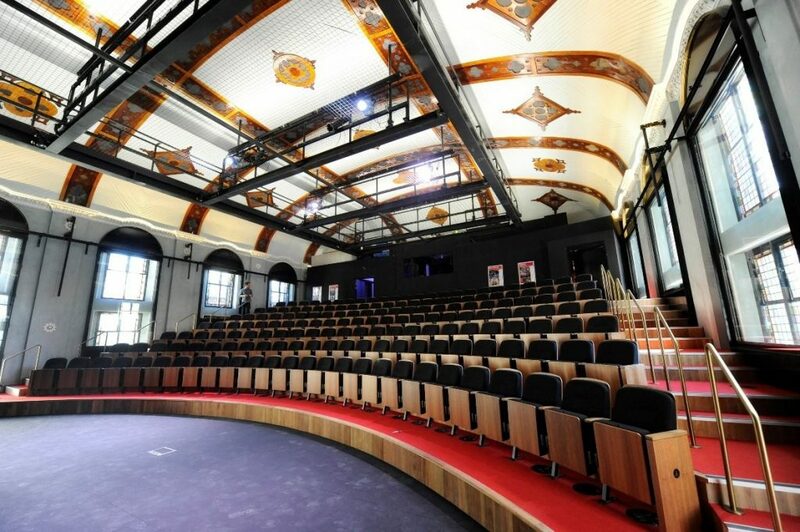 Damper adjustment is especially important in tiered auditoria, which typically require 20% increased airflow towards the auditorium rear, which is raised and hence warmer, and 20% less air towards the front, which would otherwise be overcooled as a result of additional cool airflow gently cascading down the steps. Damper adjustment in steps achieves quite dampler operation for all damper settings. 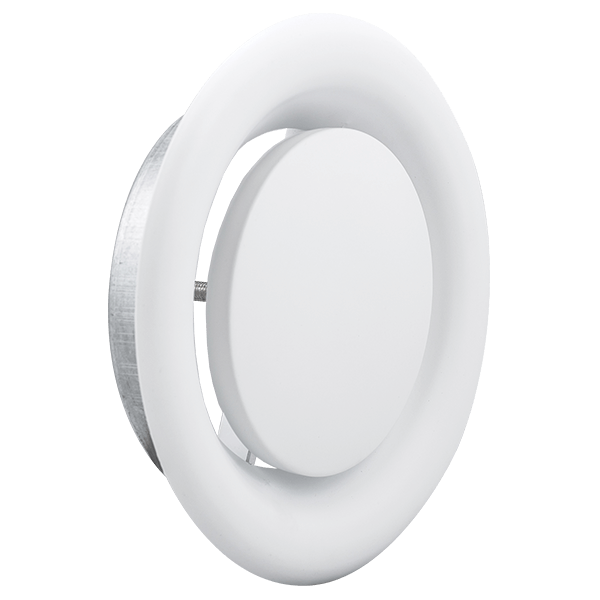 The aesthetically appealing flush face design is available in textured plastic or surface treated aluminium. Grey plastic or shot-blasted aluminium finishes are standard, with colour options of dye or powder coating available, respectively. 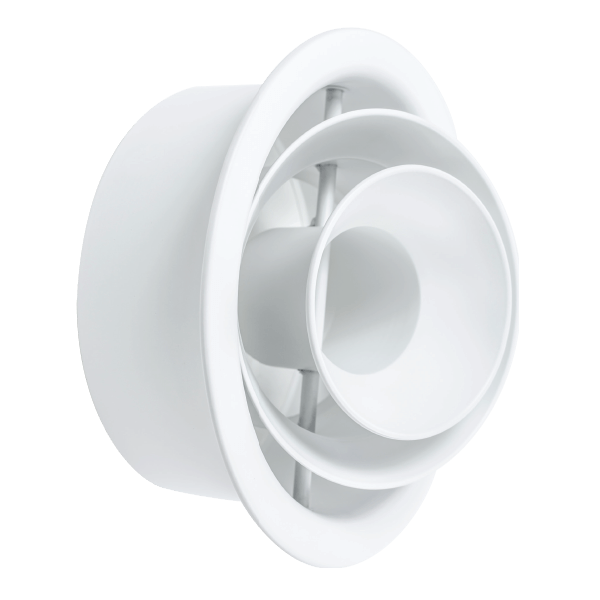 The SMARTEMP ASF-AD diffuser is supplied with a mounting (trim) ring that is suitable for use in pressurised plenum applications. A rapid mount assembly feature provides quick and easy installation or relocation without the need for tools or for access from below. 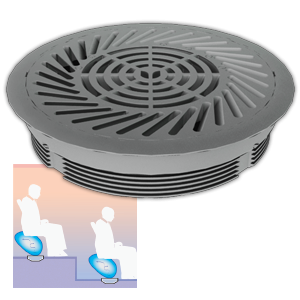 The SMARTEMP ASF-AD Auditorium Floor Swirl Diffuser is available in selected markets as the LTG Boden-Drallauslass ILB. Shot blasted (optionally powder coated) cast aluminium finish.